With the warm and sunny months of summer on the horizon, the peaceful respite of a beach vacation or a day trip to one of the many beaches that line the north and south shore of Long Island is sure to serve as a welcome break from the stress of today’s bustling business world. 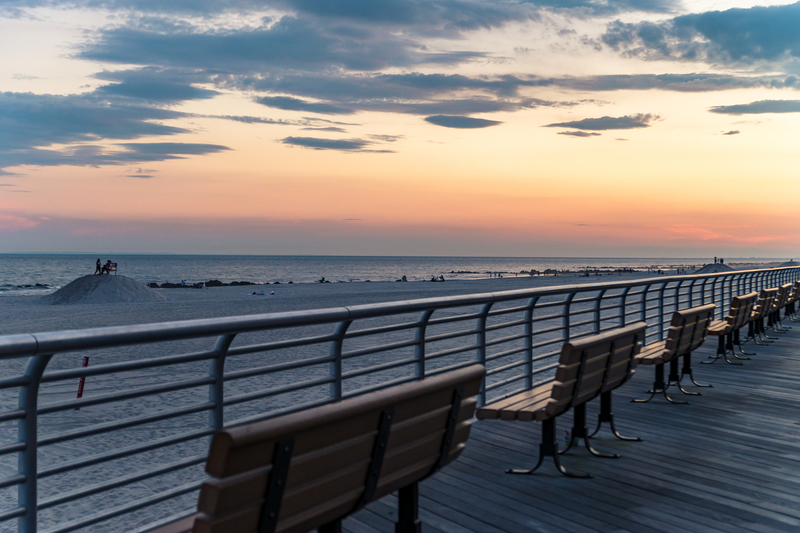 At 118 miles long, Long Island is home to a ton of popular beaches and shoreline parks. Due to its geographical location, Long Islanders and visitors alike have the ability to experience two different types of beachy terrains: the first being the smooth, sandy beaches of the south shore where the edge of the island meets the Atlantic Ocean, and the second being the rocky, calm beaches of the north shore, with small cliffs and bluffs acting as a barrier between the “Gold Coast” homes and the Long Island Sound. Here are our the top 3 best beaches to visit on Long Island this summer! Jones Beach State Park is one of the most popular seaside destinations on Long Island, and for good reason. This sprawling seaside retreat has been a mainstay for nearly a century, with the master civic designer, Robert Moses, conceiving the idea for the park in the early 1920’s. Jones Beach is located less than twenty miles from New York City and is quite accessible through public transportation. 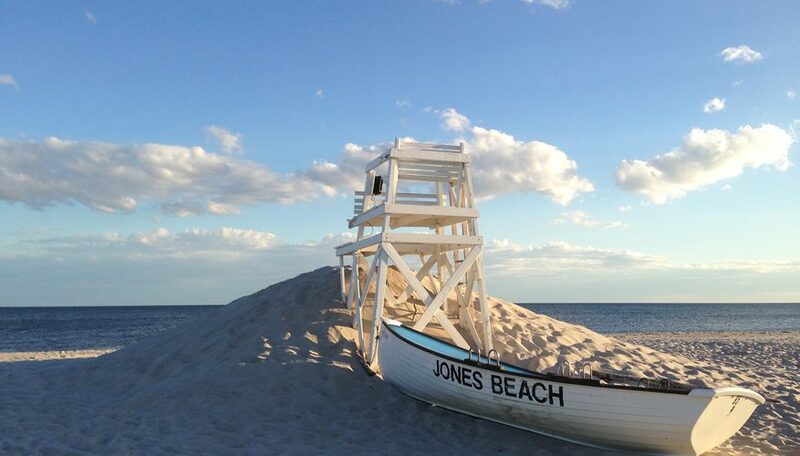 Simply for its history, Jones Beach deserves to be on your list of beaches to visit! Orient Beach State Park offers a different side of Long Island beaches that is not typically seen through the popular beaches that line the south shore of the island. Orient Beach is located at the tip of the North Fork on the eastern end of Long Island and is often visited and highly regarded for its peaceful aesthetic. Orient maintains a healthy plethora of various flora and fauna and was named a National Natural Landmark in 1980 due to its rare seaside maritime forest. Orient is an excellent choice if you are looking for a peaceful, relaxing day at the beach – away from the crowds and the high energy beach scene of the south shore. The town of Long Beach, Long Island has been on the rise over the last several years. While Long Beach has always been popular due to its close proximity to New York City, its upscale neighborhoods, and its affordable rental spaces along the shoreline, it has grown into a popular entertainment destination with its famed boardwalk. The massive boardwalk is popular all year round – with bikers, walkers, dog walkers, and runners making their way up and down throughout every season. During the summer months, one is sure to find a bustling crowd enjoying the sunset, watching a game of beach volleyball, or photographing the surfers trying to catch the waves. Long Beach has created an identity as a hip and trendy location for all the people looking to experience the true Long Island culture. While Long Island offers miles and miles of beachfront for residents and visitors, these three should certainly be on everyone’s “must visit” list for Summer 2018! If you’re heading out east, be sure to visit Cooper Beach in Southampton, and Cupsogue Beach in Westhampton Beach on Dune Road!